For as certain as it is that even third-tier Marvel Comics characters will eventually get their own big-budget feature films, we can also count on every last one of them to be packaged in SteelBooks on Blu-ray and/or Ultra HD. 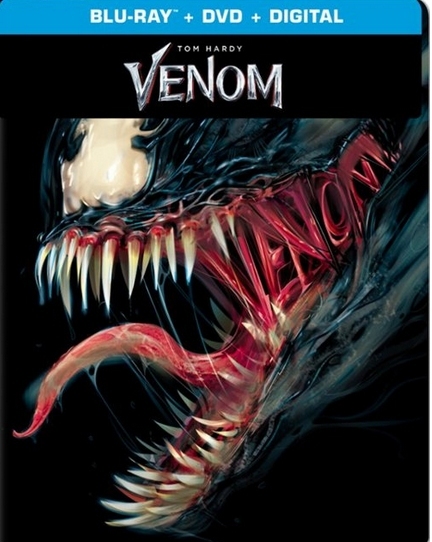 Is Venom supposed to be part of the Marvel Cinematic Universe? Marvel itself says no, but Sony calls the movie an “adjunct” to that world. The character is a spinoff of recent MCU recruit Spider-Man, who doesn’t appear here, but might possibly swing in for a cameo in some future installment. The movie is also intended to be the first in its own shared universe with other Marvel characters that Sony holds the rights to. Critics had no love for it, but the darkly comic super-antihero flick is doing quite well at the box office so far. Best Buy already put up preorder listings for Blu-ray and Ultra HD SteelBooks. The pages only have temp art now, pre-filled with the movie’s poster image. Although not guaranteed to share the same design, the Zavvi SteelBook (which has already sold out) may give us a peek at what to expect. 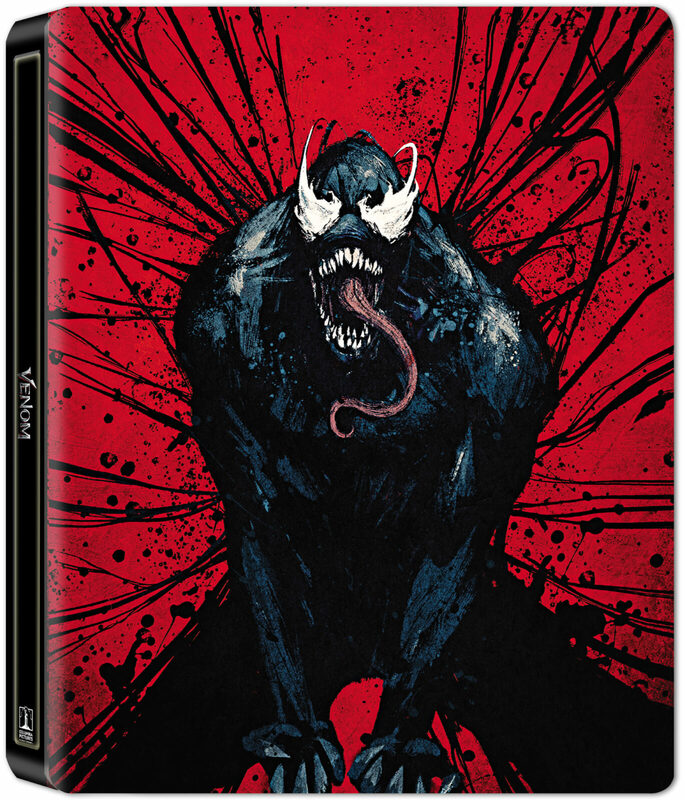 I’ve noted before that I’m not a fan of comic book art SteelBooks, but as far as that theme goes, the intentionally messy (and I might dare say ugly) design of this one at least seems appropriate to the movie. 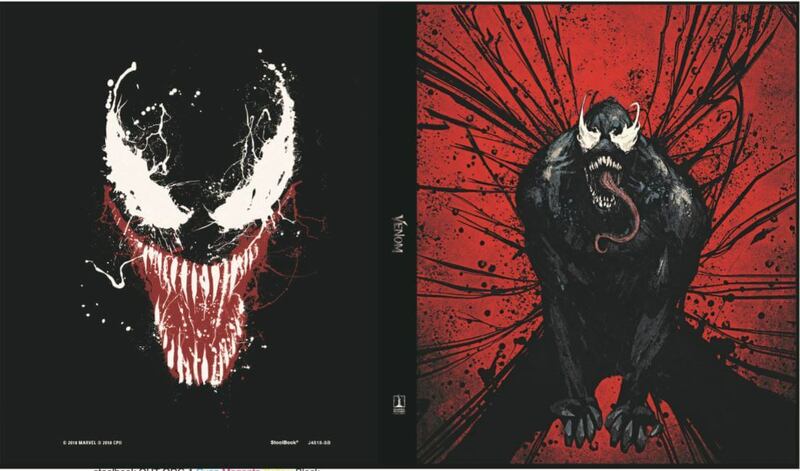 11/20/18: Best Buy has finally posted images for the American SteelBooks, and the art is different than the UK version. Whether it’s better or worse, I’ll leave it to you do decide. I quite enjoyed the movie. Not a thinker or going to win any awards, a bit short and rushes through the story but I enjoyed Tom Hardy’s role and the movie was quite fun. The teaser makes me hope the sequel comes out as I like who they hint will be playing the villain. 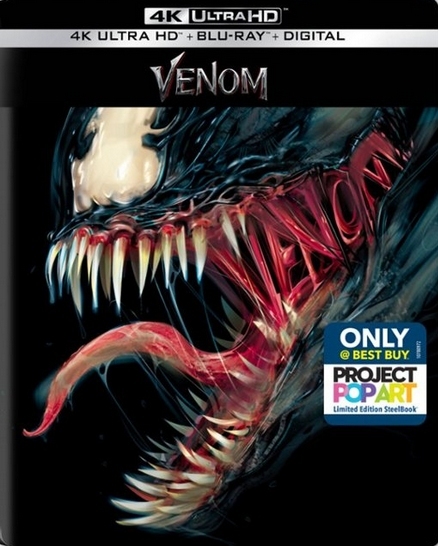 Post has been updated with new images of the Best Buy SteelBooks.